Listed below is information about many of the conference papers, reference manuals, videos, websites, and peer-reviewed articles that have been developed as part of the Environmental Inquiry program. Together with the National Science Teacher's Association, EI is publishing a series of manuals aimed at enabling high school students to carry out authentic environmental science research. Each of the manuals includes a student edition and a teacher's guide, and all are available from NSTA at 1-800-277-5300 or http://store.nsta.org. Click on the book covers below for more information. Barnaba, E.M., M.E. Krasny, L.M. Kasperek, S. Hoskins, and J. Hope. 2000. Explorations from an Aerial Perspective. Cornell Media Services. Cornell Media Services. 210 pp. Description and order information. Edelstein, K.E., N.M. Trautmann, and M.E. Krasny. 1999. Watershed Monitoring Handbook for Educators. Cornell Media Services. 210 pp. Description and order information. Schneider, R, ME Krasny, and S Morreale. 2001. Hands-on Herpetology: Exploring Ecology and Conservation. National Science Teachers Association. Arlington, VA. Order this publication through the NSTA online store. Trautmann, N.M. and M.E. Krasny. 1998. Composting in the Classroom. Kendall/Hunt, Dubuque, IA. 115 pp. Available for download without cost. Environmental Inquiry: Learning Science as Science is Practiced (an introduction to EI). Description and order information. Its Gotten Rotten (an introduction to composting as a topic for scientific inquiry for high school students). M.E. Krasny and N.M. Trautmann, executive producers. 1996. Photosynthesis Productions, Inc. Ithaca, NY. Description and order information. Many of these articles are available in PDF format, which requires the free Adobe Acrobat Reader. Trautmann, N. and J. MaKinster. 2005. Teacher/Scientist partnerships as professional development: Understanding how collaboration can lead to inquiry. Paper presented at the 2005 International Conference of the Association for the Education of Teachers of Science, Colorado Springs, CO, January 19-23, 2005. DePriest, T. and M. Krasny. 2004. Engaging county educators in science education reform: The New York 4-H Environmental Inquiry program. Journal of Extension 42(2). Trautmann, N., J. MaKinster, and L. Avery. 2004. What makes inquiry so hard? (And why is it worth it? ).Paper presented at the annual meeting of the National Association for Research in Science Teaching, Vancouver, BC, April 1-3, 2004. Bartel, A.S., M. Krasny, E. Harrison. 2003.Beyond the binary: Approaches to integrating university outreach with research and teaching Journal of Higher Education Outreach and Engagement 8(2): 89-104. (Posted with the permission of the Journal of Higher Education Outreach and Engagement, formerly the Journal of Public Service and Outreach, Institute of Higher Education, Meigs Hall, Universityof Georgia, Athens, Georgia 30602). Trautmann, N., W. Carlsen, B. Yalvac, M. Cakir, and C. Kohl. 2003. Learning nature of science concepts through online peer review of student research. Paper presented at the annual meeting of the National Association for Research in Science Teaching, Philadelphia, PA, March 22-26, 2003. L. Avery, N. Trautmann, and M. Krasny. 2003. Impacts of participation in a GK-12 fellowship program on teachers' conceptions and use of inquiry science. Paper presented at the annual meeting of the National Association for Research in Science Teaching, Philadelphia, PA, March 22-26, 2003. Trautmann, N. 2003. What can university scientists offer to K-12 schools? The Volunteer Monitor. 15(1): 12-13. Krasny, ME and R Doyle. 2002. Participatory approaches to extension in a multi-generational, urban community gardening program. Journal of Extension 40(5). Trautmann, N. M., L. M.Avery, M. E. Krasny, and C. M. Cunningham. 2002. University science students as facilitators of high school inquiry-based learning. Poster paper presented at the annual meeting of the National Association for Research in Science Teaching, New Orleans, LA, April 7-10. Avery, L.M. and D.Z. Meyer. 2001. The history of a curricular technology: An exemplar in the use of science &technology studies as a research lens. Paper presented at the 6th Meeting of the International History, Philosophy and Science Teaching Group, Denver, CO, November 7-10. Avery, L.M., and W.S. Carlsen. 2001. Knowledge, identity, and teachers' multiple communities of practic. Paper presented at the annual meeting of the National Association for Research in Science Teaching, St. Louis, MO, March 25-28. Carlsen, W.S. 2001. The sociological context of environmental science and its use in rethinking scientific inquiry. Paper presented at the annual meeting of the National Association for Research in Science Teaching, St. Louis, MO, March 25-28. Carlsen, W.S., C.M. Cunningham, and N.M. Trautmann. 2001. Peer review by school science students: Its role in scientific inquiry. Paper presented at the annual meeting of the National Association for Research in Science Teaching, St. Louis, MO, March 25-28. Cunningham, C.M., D.Z. Meyer, and L.M. Avery 2001. Promoting sociologically authentic inquiry in school science communities. Paper presented at the annual meeting of the National Association for Research in Science Teaching, St. Louis, MO, March 25-28. Meyer, D.Z., and W.S.Carlsen 2001. Curriculum design and legitimate peripheral participation by preservice teachers. Paper presented at the annual meeting of the National Association for Research in Science Teaching, St. Louis, MO, March 25-28. Meyer, D.Z., and L.M. Avery 2001. A Science and Technology Studies Lens for Studying Teacher Practice. Paper presented at the annual meeting of the American Educational Research Association, Seattle, WA, April 10-14. Krasny, M.E. 1999. A change in perspective: Using aerial photos to study watersheds. The Volunteer Monitor 11(2). Trautmann, N.M. 1999. Bioassays bring real science to the classroom. The Volunteer Monitor 11(2). Doyle, R and ME Krasny. 2003. Participatory Rural Appraisal as an approach to environmental education in urban community gardens. In press, Environmental Education Research 9(1). Trautmann, N.M., W.S. Carlsen, C. J. Eick, F. E. Gardner, Jr., L. Kenyon, H. Moscovici, J.C. Moore, M. Thomson, and S.S. West. 2003. Online peer review: Learning science as it's practiced. Journal of College Science Teaching XXXII (7): 443-447. Krasny, ME and S-K Lee. 2002. Social learning as an approach to environmental education: Lessons from a program focusing on non-indigenous, invasive species. Environmental Education Research 8(2):101-119. Mordock K and ME Krasny. 2001. Participatory Action Research: a theoretical and practical framework for environmental education. Journal of Environmental Education 32(3):15-20. Brown, WT, ME Krasny, and N Schoch. 2001. Volunteer monitoring of non-indigenous, invasive species. Natural Areas Journal 21:189-196. Gurwick, NP and ME Krasny. 2001. Enhancing student understanding of environmental research. Journal of the American Biology Teacher 63:236-241. Trautmann, N.M. W.S. Carlsen, M.E. Krasny, and C.M. Cunningham. 2000. Integrated Inquiry. The Science Teacher. 67(6): 52-55. Carlsen, W.S. 1999. Domains of teacher knowledge. In N. G. Lederman and J. Gess-Newsome (eds. ), Examining pedagogical content knowledge: The construct and its implications for science education (pp. 133-144). Dordrecht, Netherlands: Kluwer. Carlsen, W.S. 1998. Engineering design in the classroom: Is it good science education or is it revolting? Research in Science Education 28(1): 51-63. Carlsen, W.S. 1997. Never ask a question if you don't know the answer: The tension in teaching between modeling scientific argument and maintaining law and order. Journal of Classroom Interaction 32(2): 14-23. Cunningham, C.M. 1998. The influence of teachers sociological understanding of science (SUS) on curricular innovation. Research in Science Education 28(2): 243-257. Cunningham, C.M. and J.V.Helms.1998. Sociology of science as a means to a more authentic, inclusive and liberatory science education. Journal of Research in Science Teaching 35: 483-499. Cunningham, C.M. 1997. Who knows? : The influence of teacher's sociological understanding of science (SUS) on knowledge, authority, and control in the classroom. Journal of Classroom Interaction. 32(2): 24-34. Krasny, M.E. 1999. Reflections on nine years of conducting high school research programs. Journal of Natural Resources and Life Sciences Education 28:1-7. Krasny, M.E. and T.C. Marchell. 1993. Expanding the Science Pipeline: the Cornell Natural Resources Experience. Journal of Forestry 91:34-38. Muller, C. B., & Carlsen, W. S. 1997. Fostering educational innovation at the level of individual professionals in K-12: A case study. Proceedings of the 1997 ASEE/IEEE Frontiers in Education Conference. Piscataway, NJ: Institute of Electrical and Electronics Engineers. A collection of curriculum resources developed by Cornell graduate students working with secondary teachers. 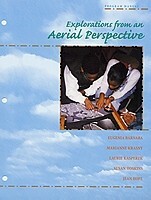 Includes a wide range of long- and short-term inquiry activities for both high school and middle school science classes. An overview of composting as a topic for scientific inquiry for students of all ages. Includes compost science and engineering, possibilities for student research, tales of weird and unusual composting, and information about how to compost either in the classroom or outside. Activities to introduce high school students to basic ecological principles and inquiry skills using data from the National Science Foundation's Long Term Ecological Research sites. Garden Mosaics refers to two beautiful mosaics found in urban community gardens across North America. First are the gardeners, who represent a mosaic of cultures from around the world. Second are the mosaics of plantings that these gardeners create. Garden Mosaics is a Cornell University program.